Home/Everyone who has played with Xamsa for at least 31 days is happy with it... Why? Everyone who has played with Xamsa for at least 31 days is happy with it... Why? Xamsa racquets are manufactured at reputable factories using high quality carbon fiber. The price reflects the manufacturing costs and a modest markup to cover basic operational expenses. We admire the fact that big brands spend large amounts on sponsorship of athletes, various events and on supporting the complex distribution chain with reps, agents and dealers. It’s all exceptionally important for both the sport and the economy.That being said, we believe in diversity. 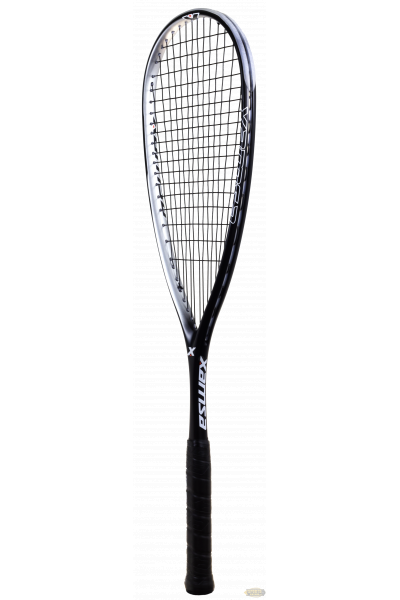 The idea behind Xamsa Squash was to offer an alternative to those players who can’t or don’t want to spend $170-$220 on a current high end racquet. Accurate specifications, consistency, attention to details. Racquets are manufactured in small batches of 200-300pcs to ensure accuracy and consistency. The specifications are physically measured in Canada and starting from January 2018 our sticker is applied to every Xamsa racquet with the full weight and balance. You are guaranteed to receive the racquet with accurate specifications as advertised. We put aside the racquets that don’t meet the criteria. 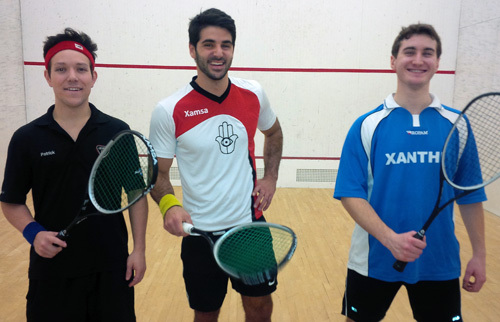 Our goal is to ensure that every squash player who gives Xamsa a try is 100% satisfied with their purchase. If for any reason you are not 100% satisfied with the Xamsa racquet you bought, please return it in any condition within 30 days for a store credit. The store credit doesn't expire and can be used on any products at SportsVirtuoso.com web site or in-store. We use terminology everyone understands. We openly say which materials and technology are used in the manufacturing process. We respect our fellow squash players and will always be open and straightforward with you. If you have any questions or concerns, just ask. 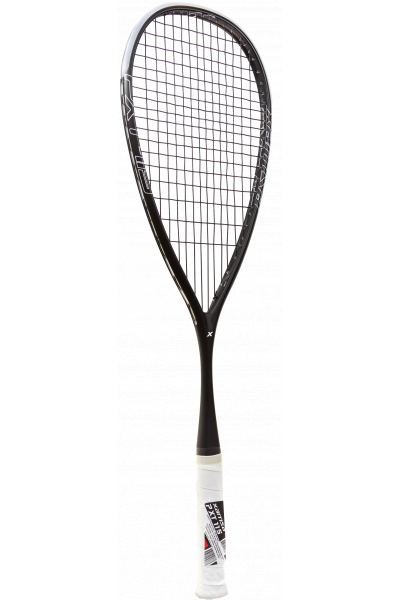 Xamsa racquets are made by squash players for squash players like yourselves. We are passionate squash players and we wanted to create racquets that would be good for club level players like ourselves and yourselves. Before making it to the market, every model is thoroughly tested by many club players of different levels. We take notes and make adjustments to stiffness, weight and balance until the majority of players are happy with the results. We realize that this is something intangible that is impossible to measure but please take our word for it. We are a co-op run by squash fanatics. Why not give it a chance with the Xamsa demo program? We often set our mind on something and don’t want to try anything new. It’s human nature and we totally get it. But just out of curiosity, why not give Xamsa racquets a chance? It literally doesn’t cost you anything. Play a couple of matches with different models and see for yourself. 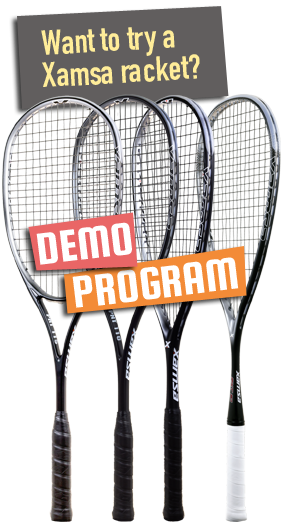 Choose any 2 Xamsa racquets and we will ship you 2 demo and 2 new racquets along with the pre-paid return shipping label. You can keep the one you like or ship all racquets back.